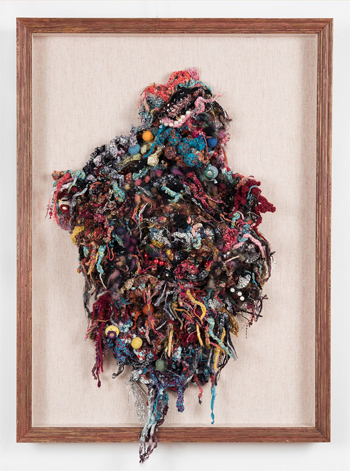 Fiber, beads, 30 x 24 in. 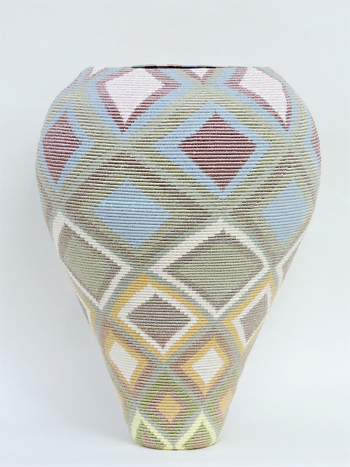 Fiber basketry, 34 x 18 x 18 in. 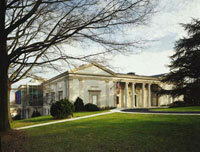 Montclair Art Museum: Museum purchase; Acquisition Fund 2006.11. 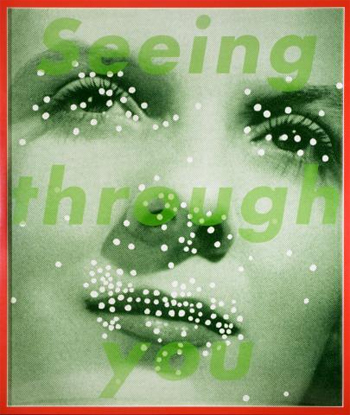 © Barbara Kruger. Admission: $12 nonmember adults, $10 for seniors (65+) and students with I.D. Credit cards accepted. MAM admission is free for Members and children under 12. Museum galleries are free for everyone the First Friday of every month. Wednesdays–Sundays Noon–5 p.m. The Store at MAM is a unique shopping destination. Take home a souvenir of your Museum experience, expand your knowledge, or find an unusual gift. The Store at MAM offers merchandise related to the Museum's collections of American and Native American art, as well as art books, stationery, cards, children's art, and educational projects. You will also find original handmade art and jewelry by local artists. The store is located on the first floor of the Museum, accessible via the side entrance. Phone: 973-259-5137. The Montclair Art Museum is located in downtown Montclair, 12 miles west of NYC, and is easily accessible by car and by public transportation. For directions, please visit http://www.montclairartmuseum.org/visit_directions/. Free public parking is available in the Museum's ample parking lot. 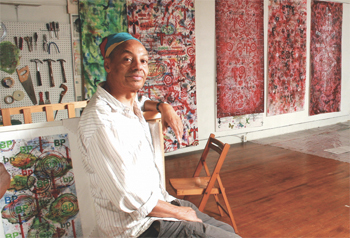 The Yard School of Art offers programs for Adults, Children, and Teens throughout the year. Classes are offered in four semesters including an eight-week summer program. Learn a new skill or refresh your existing knowledge in our professional studios from experienced teaching artists. Explore your creative self - right in your own backyard.